Just check out with this outstanding and amazing Pareesa by Chen One summer collection 2018 volume 1 for women! Once you would catch this collection you would surely be falling in love with it because this collection has been dramatically included with the blend of modernity and elegance. Let’s have a look into this amazing collection! Pareesa by Chen One is one of the most prominent known and leading fashion brand designers of Pakistan. This fashion brand has always remained the main demand of the fashion world for his superbly designed clothing dresses for both men and women. The seasonal based clothing line is a dream to wear by the women. Their main product lines falls inside the category of the formal wear, casual dresses, semi formal wear and seasonal dresses designs. 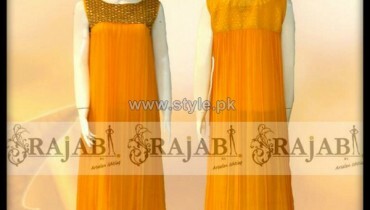 They have set up with their clothing outlets in almost all the leading cities of Pakistan. Right into this lovely Pareesa by Chen One summer collection 2018 volume 1 for women, the brand has been showing off the trendy and sophisticated designs dresses designs. The collection is basically featuring off with the lawn summer stitched dresses designs. All the dresses are brilliantly embellished with the embroidery and print form of the work. 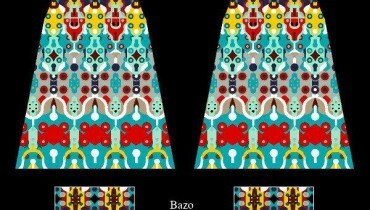 Stitching of the dresses has been all done with the pure lawn fabric. Women of all age groups can choose to wear this collection for the family gatherings and parties that will definitely add their personality with decency. Color combinations are soft and light shaded together for this seasonal happening. You would love the way hues and cuts are implicated over it. It has been all set out at the reasonable rates which are presented to purchase in all the leading outlets of Pareesa by Chen One. It is on the whole designed according to latest fashion trends and style statements. 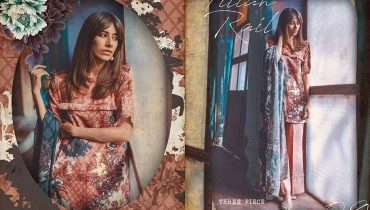 Here we will be adding up the post with the beautiful pictures straight away from the album of Pareesa by Chen One summer collection 2018 volume 1 for women. Check out the outstanding dresses and choose your favorite dress piece right now!